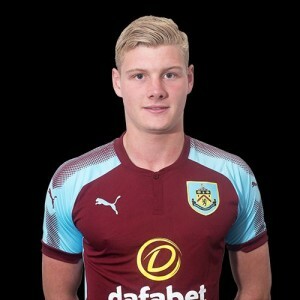 After close to a year at Turf Moor, central defender Harry Flowers has today left the club to sign for Guiseley who are currently struggling at the bottom end of the National League, some ten points from safety. He moved to Burnley early last year and played in the Premier League Cup tie against Sunderland in February 2017, one of his earliest appearances for us. He signed until the end of this season with the club having an option for a further year. This season, initially, he was a regular member of our under-23 team but has been missing from a number of the last few games and today has taken the option of signing for Guiseley on a permanent basis. Flowers is the third young defender to leave the club this month. Luke Hendrie signed for Shrewsbury last week while yesterday Alex Whitmore made the move to Chesterfield. This will certainly give youth team defenders James Clarke, Scott Wilson and Oliver Younger even more opportunities for the remainder of the season.